The game room was open until 6 a.m. for the Pajama Jam event hosted by the Chamberlain Student Center and Campus Activities (SCCA) on Friday night. This was the first time Pajama Jam was held, but the game room has been open all night in the past. 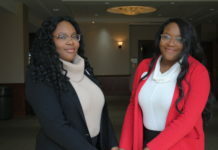 “Cram Jam was a little similar, but it’s also very different because here we’re relaxing, like playing games and hanging out, but for Cram Jam it’s a little more academic,” said Melissa Mighty, a special events intern and a junior marketing major. A variety of activities was available to attendees, including the regular game room games, as well as fun and relaxing things to do that were provided for this particular event. 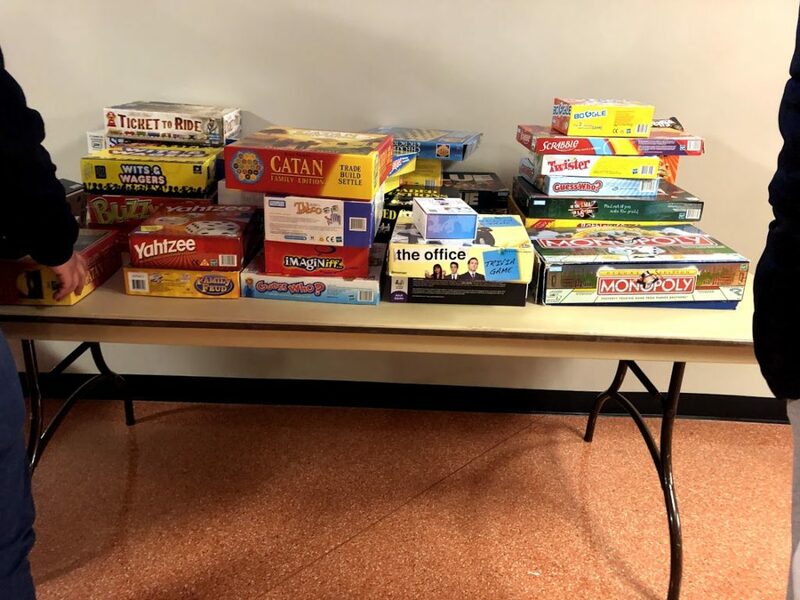 Though the game room is typically known for its video games and billiards tables, it also is home to many classic board games, including Yahtzee, Guess Who and Monopoly. One of the most popular activities of the night was the facial station. After getting their facials done by a Mary Kay consultant, participants felt calm and rejuvenated. Another activity provided for students was a tarot card reading, which offered interpretations and personal guidance for students to implement in their lives. There was also a craft section where students could create a DIY vision board along with decorating large poster boards with a wide selection of mediums, ranging from foam stickers to magazine clippings. 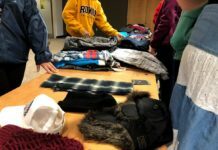 Mighty mentioned that an essential part of the ambiance of the Pajama Jam—relaxation and the feeling of a childhood sleepover—was the goody bags filled with candy that each student received when they swiped in for the event. “Initially we weren’t going to have them, but I feel like when you go to a sleepover or go to a wedding or something, it’s that little thing that you get, like ‘Oh, that’s nice, they didn’t have to do that, but they did,'” Mighty said. In addition to the bags of candy, pancakes and hot chocolate were served to hungry, pajama-clad students all night long. 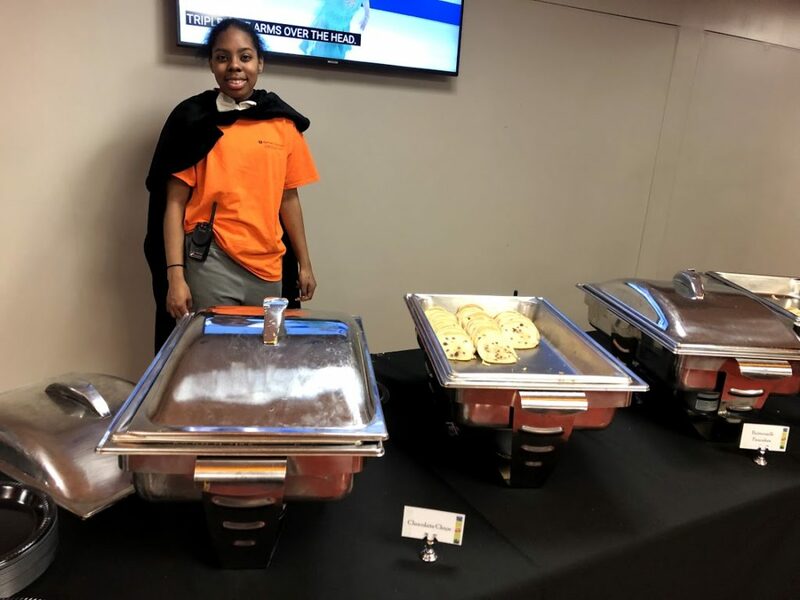 Heather Dorney, a freshman psychology major, said that the food was the only thing she was expecting when she came to the event, but was glad there was more to do. “I was just expecting food, so this was a really pleasant surprise for me,” Dorney said. Courtney Pierce, a freshman biomedical art and visualization major, echoed this sentiment. Melissa Mighty said that the ultimate goal of the event was to foster a sense of inclusion and coziness through its relaxed atmosphere. 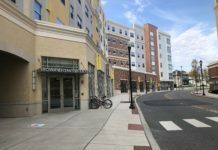 “The goal was to make sure students had a safe place they could come to just hang out… and just to make sure people know that the game room actually exists and it’s not just for guys, because I know the typical ‘It’s a game room, so it’s for guys,’” she said. 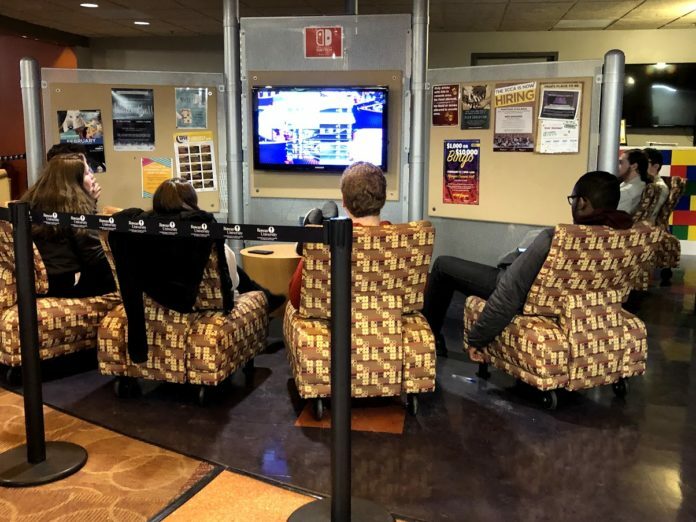 Students who attended the event got to experience the game room as the relaxing, fun and inclusive place it strives to be while enjoying time with friends.